Companies usually ignore the importance of busy customers. If not handled properly, company definitely tends to lose them. Therefore, it becomes essential for every company to streamline their call center department through implementation of various essential techniques. Usually the email response sent to the customer consists of a very long unstructured body. It becomes a tough task for the customers to search the relevant information from this type of unstructured email. This can make the customers furious who do not want to waste their precious time in finding the solution of the query. Therefore, it is essential for customer support team to send emails which are properly optimized and in readable format. Use bullet points and sceenshots in the body to make your customers understand the solutions quickly and easily. You can also bold out or highlight the important information in the text. This section usually comes under marketing or website designing team, but they can take support of call center for designing an informative FAQ section. Companies can analyze most common queries from the customer end and convert them into question and answer form for ‘Help’ section. Also, there should be a ‘Search’ option in FAQ so that customers can easily reach the query without any hassle. Structuring the questions under suitable categories also help in locating the questions quickly. Very first step is to make sure that introductory menu is not more than 8 seconds as longer ones will definitely frustrate a busy customer. Avoid the mistake of hanging up on customer if the response related to IVR is incorrect from customer’s end. This will anguish the customer as they have to dial the number again and repeat the process from the very beginning. Also, provide an option for the customers to talk to executives at every level of the menu. 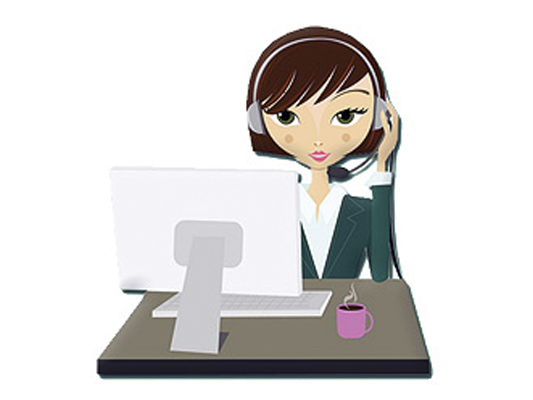 Every customer prefers a specific customer support channel as per his/her convenience. For example, some customers use Twitter as it is convenient to use from a smartphone. Several customers love to stick to phone calls as it is the conventional customer support channel. Various consumers also like to ask queries on emails as it feels more formal and trusted form of customer support. Various times, the companies commit this error of transferring the customer from one communication channel to other. This may impact the customer so badly that he/she may avoid doing business with the company again. Therefore, avoid asking the customer to use different channel by providing contact details for another channel. It is true customers can face issues any time of the day or night. And the busy customers will hate to wait if you are operating at some particular time. And you will never want to lose just because you were not present there to help when they needed it the most. Therefore, make sure that your representatives are present 24×7 so that not a single customer is disappointed. Call center outsourcing is a viable option for your business if you are unable to offer customer support yourself on 24 hour basis. This will build a trust among customers and give them a reason to stick to your brand for longer time span. You must make sure to train your call center department to follow these techniques to make your busy customers happier and satisfied. And remember: delay in service results in delay of your success!